Favorite DIY planters: How easy and adorable are these little brick succulent planters? 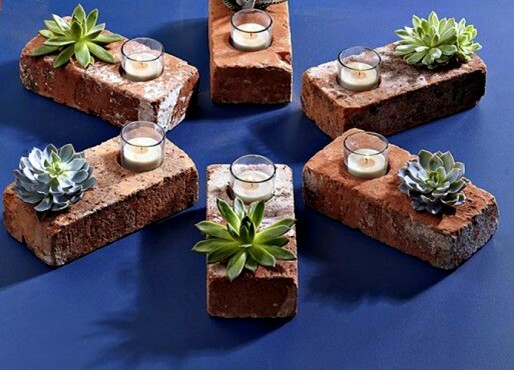 Grab some construction bricks with holes in them and plunk in a succulent and a candle. Done! Favorite patio: I've always loved outdoor string lights and have been obsessing over them even more than usual since my trip to Austin, where they seem to be on every block. 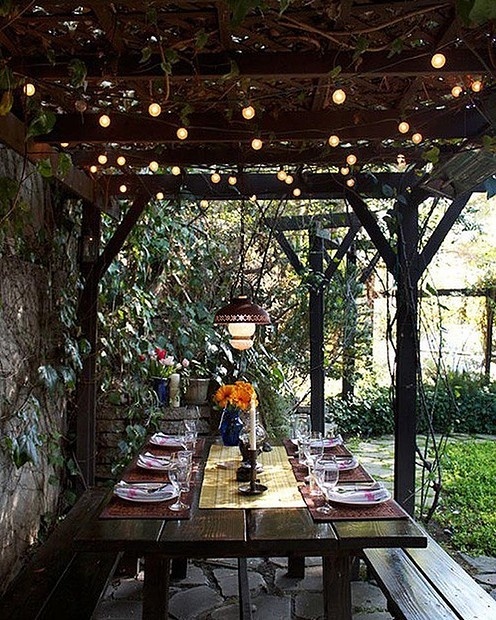 I think this lovely, rustic patio looks like it's right out of a fairy tale. 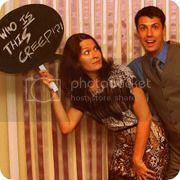 Favorite fabrics: I'm nerdtastically excited about HGTV's new line of fabrics at Joann, which I just heard about thanks to this post by Infarrantly Creative. I like Joann since they always seems to have great sales and coupons, but sometimes their fabric selection can be a little blah. 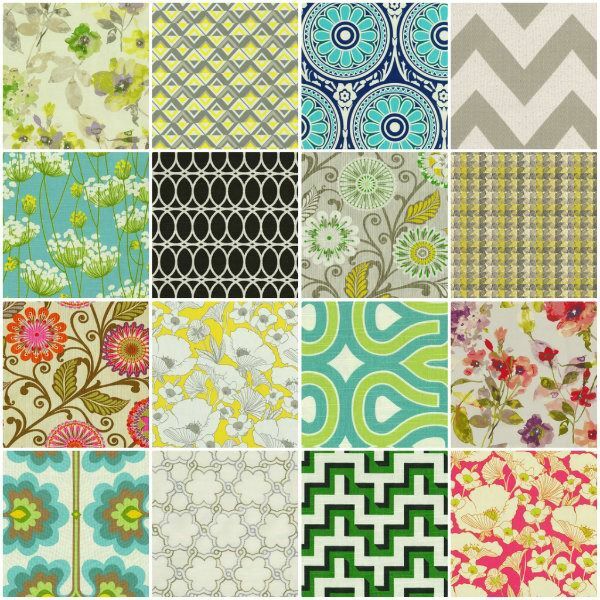 This new line from HGTV has lots of fun, modern prints. Favorite drink: It's a lovely, sunny spring day, and I'm in the mood for sippin' on sangria in the sunshine (as well as alliteration, apparently). 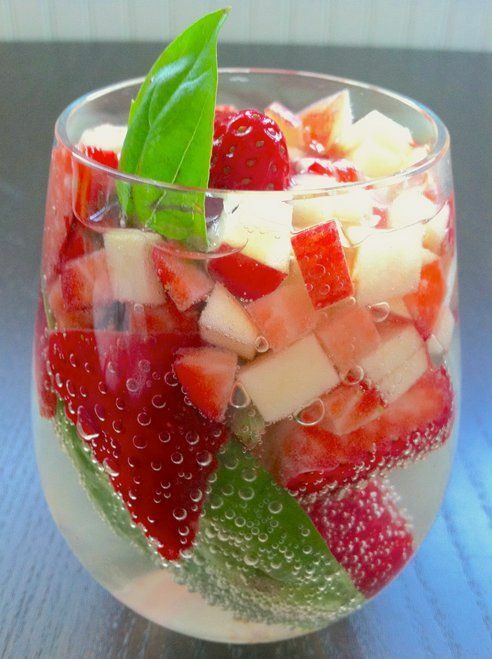 This recipe is a unique take on white sangria, featuring strawberries and fresh basil. Favorite jewelry: Loving the look of a big gold cuff (and wearing one today!) - a great statement piece to have in your collection, and it goes with just about anything. That is a collection I can certainly get into! Sangria and ALL! Love the patio and those brick candle holders are SWEET! I am glad to have found you on the Hump Day Hop! I am totally following! Thanks, Heather! The hump day hop is so much fun - I've missed the last few but am glad to get back into it! 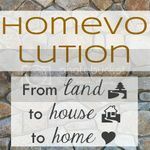 Thanks for cohosting this week! I'm so excited about following you too! !